Cameras are everywhere. They’re in your pocket, on the ceilings of businesses, and on street corners. So why aren’t there more pictures and videos of ghosts? If Bigfoot exists, why hasn’t some hiker been able to get a clear shot? Well, don’t look now. On the other hand, do. Look! Right now! There are photos of what is presumed to be Bigfoot on Google Earth and CCTV cameras have captured some images that make a person wonder. While they may not quite prove the existence of Nessie and Little Green Men, we all have to agree on two things. First, the pictures were taken by unpiloted machines — not believers straining for evidence. Second, some of these images are astoundingly creepy. Finding a ghost in a photo is a notoriously tricky business. First, you have to determine if it’s real. Is it a trick of the light? Or a staged photo? Moreover, what kind of a ghost is it? There are orbs, mists, ectoplasmic entities, funnel vortexes, cold spots… The list goes on and on. What do you think of these images? Ghostly? Or mostly wishful thinking? Ghost in the door… so i was browsing google earth and found my old house… well the main door is shut as is the screen door. 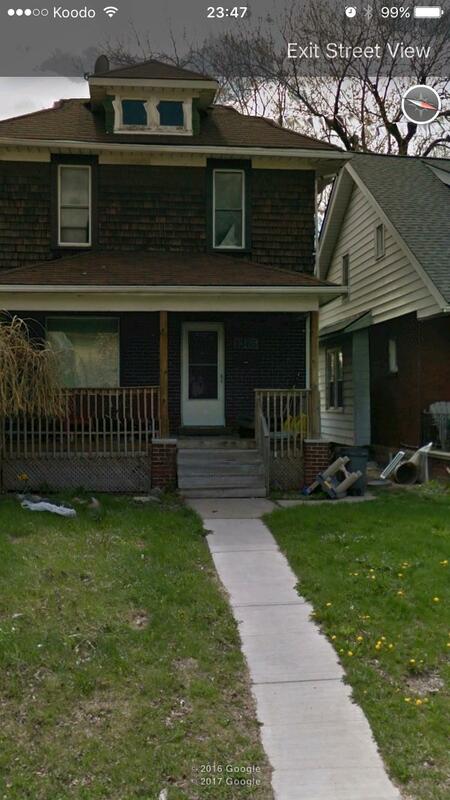 But while zooming in, it looks like a figure is standing in the screen door. Am i seeing things? Image by Reddit user Arkaik666, via Reddit. Look for it in the screen of the front door. It looks like a little figure. Is it a ghost? A gremlin? Or maybe it’s just a bit of schmutz on the screen. Google cameras also captured this creeptastic image of a face in the window of an abandoned building. Thanks. We’re going to be sleeping with the lights on for a bit. According to British tabloid The Daily Star, a Google Maps user captured this image inside a bar in Salt Lake City, UT. Since a human took the photo, rather than the objective, all seeing eye of Google, there’s plenty of chance for staging or human error. But it is pretty cool looking. Teachers at Deerpark CBS School in Cork, Ireland, suspected ghostly activity at their school, which was built in 1828. The school installed motion activated closed circuit TV cameras. What the cameras captured seems to suggest that the school may be harboring a poltergeist…or two. What’s Trending Now reports that school staff have also experienced cold spots in the building, as well as possibly ghostly pranks, like papers being strewn about. Of course, considering this footage was captured shortly before “Ireland’s Most Haunted School” was to host a Halloween event, enquiring minds have to wonder. Everyone loves monsters. Some people love them so much that they dedicate their lives to looking for, and documenting them. These are the few, the proud, the cryptozoologists. Thanks to technology, you, too, can dip your toe into the murky waters of cryptozoology. But you can do it from the safety of your computer. Some people claim to have found Bigfoot and other crypto beasts in Google Maps photos. Have a look. What do you think? In 2012, Google Earth captured this footage in a forest in Canada. Many believe the dark figure is Bigfoot. YouTube user wowforeel examines the Google Earth photos, showing how the figure seems to disappear from one image to the next. Is this Bigfoot? Remember, Google Earth cameras take their photos from the tops of moving cars (and in boats and other vehicles) — not from the hands of people looking for these sorts of phenomena. 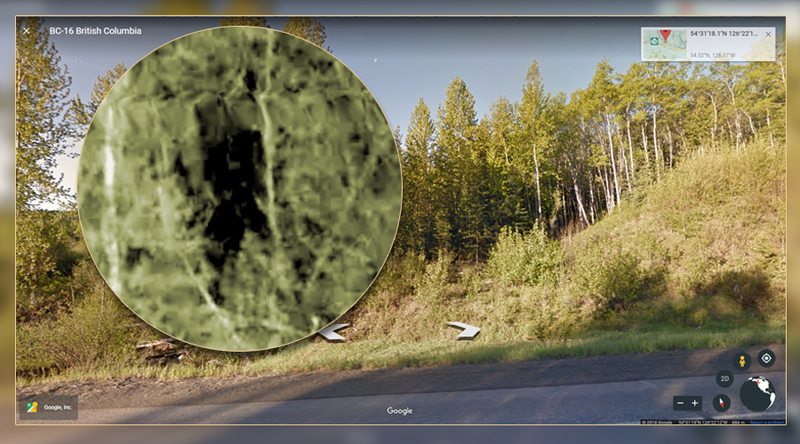 Did you know that you can use Google Maps to look for Bigfoot sightings? YouTube user Toby Langford combined information from Google Maps and the Bigfoot Field Research Organization to crunch some pretty interesting numbers. And what do the number show? Well, Langford uses the information to show trends in where and when people have reported seeing the Big Guy. And if you know where he’s been, you can make some predictions about where he’ll pop up next. Cool! Data mining isn’t just for ad placement, y’all! In this video, YouTube user WesternNYBigfoot uses Google Earth data to track what he believes to be Bigfoot travel patterns. Other users have marked sightings of white “X” marks, which some believe were made by Bigfoot. WesternNYBigfoot plots the marks on a map, and shares his thoughts about what they mean. Google has officially joined the hunt for the Loch Ness Monster. They’ve replaced their iconic cars with boats, to allow viewers to explore beneath the loch’s murky waters. And they’ve teamed up with Nessie researcher Adam Shine. Even better? You can join the search! Learn more about the initiative in the video below. At this point, Google Earth cameras haven’t managed to capture a candid of our goat sucking friend. However, Google Earth does have a Chupacabra Tracker, where you can look up sightings by other users. If you’re looking for downed alien spacecraft, however, Google’s got you covered. A lot of people think that this picture shows a crashed spaceship on an island near Antarctica. Google Earth captured this shot on South Georgia Island. Some claim it shows the carcass of an extraterrestrial vessel that crashed and skidded in the snow. Others are dubious. LiveScience reports that geography lecturer Richard Waller believes it to be evidence of an avalanche. So, what do you think? Are you a skeptic, or are you ready to believe? Is technology helping us to find proof? Or is it all just more attention seeking noise? Massive data collection projects like Google Earth can help to provide evidence for things some might consider too strange to be true. And data analysis can help to identify trends and predict new sightings. Is the truth out there? We’ll leave that to you to decide. Featured Image: Google Earth with video screen grab WowForReel via YouTube. Being Unstoppable: What Are the Best Foods to Eat for Energy?